Rolling Meadow Studios: How It All Began!! 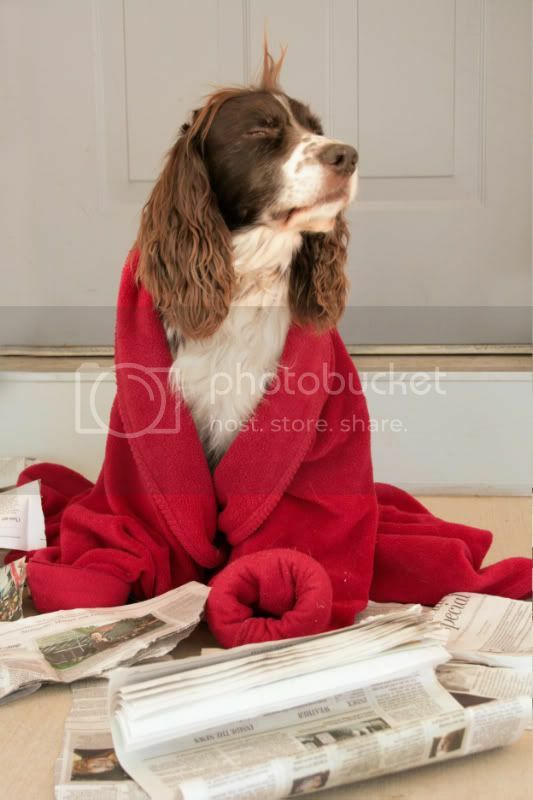 My obsession with taking dog photographs began about 10 years ago when we acquired our first English Cocker Spaniel. My husband would train him hard for field trials, so "Buster" knew many commands. After my husband left for work, MY work began!! I grabbed my camera and props and photographed my husband's "manly hunting dog" is many silly poses!! From "drinking" coffee while wearing a bathrobe, posing as a chef, having a romantic picnic with wine, playing baseball and golf and the list goes on! I continued with Buster's "wife", and now their daughter, Hannah. I entered many of my photographs in contests, and won! 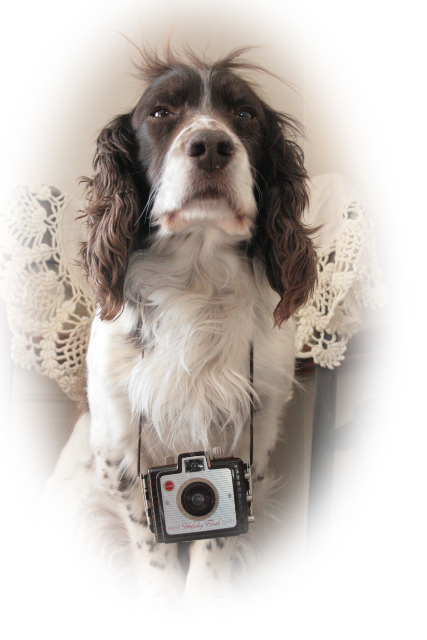 This led me to my passion for capturing lasting memories of your pets! !